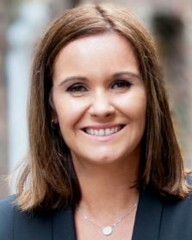 Daniela joined HelmsBriscoe as Manager, Global Accounts in 2011. An energetic and enthusiastic professional, Daniela brings eighteen years of customer service, hospitality and event planning experience to HB. Her career has included positions in client relationship, marketing and sales management. Daniela has a bachelor degree in Hospitality Management and a post graduate certificate in Event Management and is passionate about her Clients. Daniela’s relationship building skills, negotiation style and knowledge of sales best practices in the meetings industry are all assets in finding successful and cost effective solutions for her Clients. As a HelmsBriscoe Associate, working as a member of a well-respected and powerful global brand means Daniela can provide the highest level of service and provide memorable meetings to her Clients. Daniela has also been the recipient of HelmsBriscoe's President's Club Award in 2015 and 2016.